Below are some examples of the available features, with the steps outlined and an accompanying tutorial video. In some of the tutorial videos, the dark green button that lets you preview the map is named 'Convert to Image'. It has been changed since on the website to 'Preview Map'. The most basic steps for creating a map and downloading it for free. 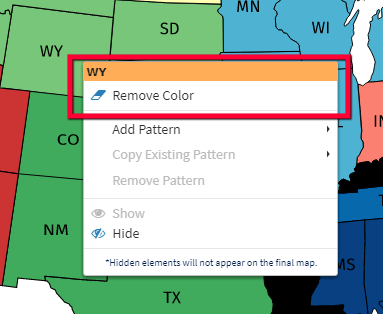 Paint the counties you want with the selected Fill Color by clicking on them. Choose another color from the palette and repeat the process. Fill out the Legend fields by choosing a description/label for each color group. Microsoft Edge and Internet Explorer are not supported. Please check the About section on how you can reference mapchart.net when publishing your map. Use Edit and Clear All to review your map. Remove or change the color of the borders. Rearrange the Legend's rows using drag and drop. Change the color for all countries in a group by clicking on its corresponding color in the legend (does not work on groups colored with patterns). Save your progress and continue from where you left off. At any time while you are editing your map, you are able to use the Save/Upload Map Configuration feature in order to save your current map's configuration. Use the blue Save/Upload map configuration button to download a small text (.txt) file with the settings of your map. Click on the blue Save/Upload map configuration button. In the dialog that appears, paste the contents of the text file into the area at the bottom and hit Submit. You will be able to resume your work on the map now. Right-click on any country/state to add a pattern (stripes, dots, etc. ), hide it from the map, or remove its color. 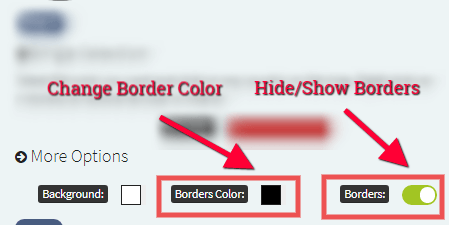 Use the Add/Modify Pattern option to change the color of a country/state to the pattern of your choice (stripes, dots, crosshatch, checkers, etc.). Useful for depicting an element that belongs simultaneously in two color groups or for black-and-white only maps. The Remove Pattern option reverts the element to its Background color, while Copy Existing Pattern provides you with a selection of the existing patterns on the map. The Remove Color option lets you remove the color of the selected element. Hide an element with the Hide option. Hidden elements will not appear on the final generated map. Use the Zoom feature to zoom in/out of your map and focus on the countries/states you need. The larger maps provide a Zoom tool at the left-hand side that lets you zoom in/out of your map. Use Exit Zoom to stop the process and fix the map in its place. With Reset Zoom you canrevert the map to its original zoom state.